Trollface vector illustrations of crazy faces with an enormous grin showing large teeth. Trolls crawl across the web and cause trouble wherever they go. These maniacs love to harass other forum users. 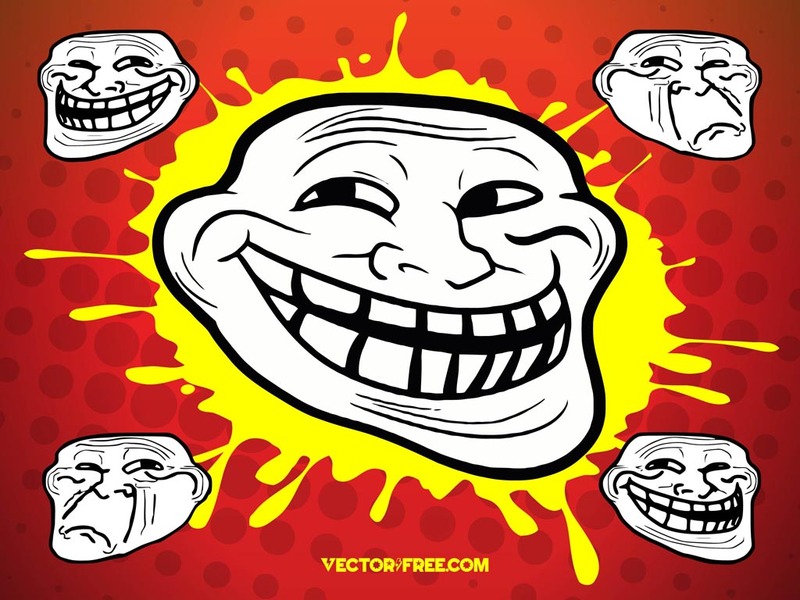 Download troll face graphics to create meme, 4chan, social media, website or blog images. Tags: Cool, Crazy, Insane, Internet, Maniac, Meme, Rage Face, Web.